Why do people fake illness online? Munchausen by internet: What drives people to fake an illness online? Dana Dirr, trauma surgeon and mother of 11, was hit by a drunk driver on the eve of Mother’s Day in 2012. Doctors managed to save her baby, but Dana died in hospital. To make matters worse, one of her children, a 7-year-old boy, had cancer at the time. Dana’s husband posted an emotional tribute to his wife on Facebook, which quickly went viral — eliciting an outpouring of grief. But the story turned out to be entirely fake. The tale of Dana Dirr was actually a case of Munchausen by internet, a syndrome that sees people feign illness online in an attempt to garner the sympathy and attention of others. “Munchausen syndrome refers to people who have evolved a severe and chronic lifestyle in which they lie about illness, actually enact illness or exaggerate an illness they have, or, in the most extreme cases, make themselves sick,” Professor Marc Feldman said. Professor Feldman, a clinical professor of psychiatry at the University of Alabama and the world’s foremost authority on Munchausen syndrome, says Munchausen by internet is the latest iteration a syndrome with a long history. “It used to be that people had to go from emergency room to emergency room, they would have to study up on illness and try to appear authentic when they were faking. Now all you have to do is sit at home in your pyjamas and click into a support group and make up a story,” Professor Feldman said. “[People] do it not because they are trying to make money from it or get on disability [benefits], they do it because it’s inherently gratifying. They get attention and sympathy and care that they feel unable to get in any other way,” he said. There are even cases in which abusive parents have made their own children sick — an iteration often known as Munchausen syndrome by proxy. According to Professor Feldman, what separates Munchausen syndrome from fraud is that it isn’t about ripping people off; it’s about fulfilling a psychological and emotional need. 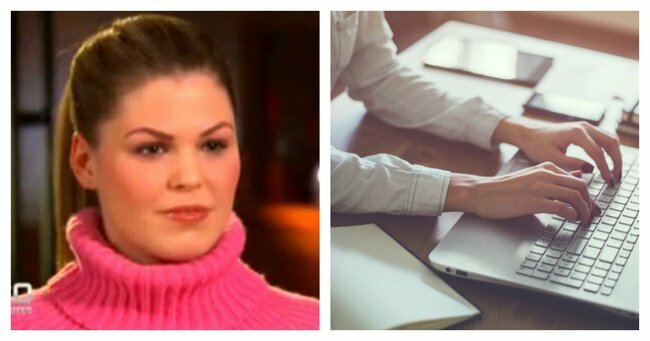 Professor Feldman says instances of alleged deception like that of disgraced ‘wellness’ blogger Belle Gibson, who profited by more than $500,000 in book and app publication deals after claiming to have cured her terminal cancer with holistic medicine, are not examples of Munchausen syndrome. “The moment someone goes online and gets money as a result of their lying about illness, that becomes a criminal activity,” Professor Feldman said. But the distinction between Munchausen syndrome and fraudulent, malevolent deceit isn’t always so clear-cut. “Sometimes there are cases in which someone, say, has gone online and faked cancer for a long period time, and well-meaning people will provide them, without their asking, for gifts. That, I have a hard time just dismissing as malingering,” Professor Feldman said. The psychiatrist explains that turning down support — whether it’s an offer of money or a bunch of flowers — increases the likelihood of being exposed as a fraud, “because it makes no sense”. As a result, Feldman says people with Munchausen syndrome are therefore compelled to accept the gifts that come their way. “The moment that happens, even though the overall picture is clearly one of Munchausen syndrome … the police tend to step in, and they ignore the pursuit of sympathy and attention and just declare it’s all fraud from beginning to end,” he said. Munchausen syndrome is recognised in the Diagnostic and Statistical Manual of Mental Disorders – the ‘bible of psychiatry’ – under the name “factitious disorder”. But the jury is still out on Munchausen by internet. The difficulty in understanding the syndrome no doubt stems from the difficulty in studying those who have it. Professor Feldman and his colleagues are, after all, only looking at cases where the deception has failed. “Where it’s crafty and skilful, we probably never know that the person has lied about illness and have no opportunity to count them in statistics,” he said. So how can you tell when someone is faking an illness online? Taryn Harper Wright, a self-described ‘hoax hunter’, was the first person to discover the Dana Dirr ruse. She says there are often inconsistencies in the information someone with Munchausen by internet gives. “You’d be surprised at how often a character name will change or the person will say they have six siblings and suddenly they will have two,” Ms Harper Wright said. Moreover, she adds that “drama” is nearly always central to the narrative of a story crafted by someone with Munchausen by internet. “Every single day something dramatic is happening, and if it’s not to do with the cancer battle or whatever illness they are struggling with, one of their neighbours will die in a car accident, or somebody will be hurt in a skydiving accident. There is just tonnes and tonnes and tonnes of drama,” she said. Ms Harper Wright’s discovery of the complex Dirr family story was almost by accident, but nonetheless, went viral. Her revelation struck a chord amongst many childhood cancer support groups, some of which the fake Dirr family had ingratiated themselves with. “After I exposed everything and they realised that none of it was true … they were genuinely grieving for that person and they felt a sense of loss, that they had lost this friendship with these people that never actually existed,” she said. According to Professor Feldman, the groups of people who provide support — whether online or in real life — are “universally devastated” when an illness is exposed as being fake. “Sometimes these lies have gone on for months, if not years, and you get invested in what that other person is telling you and you start to really care about them … And to have the house of cards go crumbling down is a devastating experience,” he said. Following her exposé of the infamous Dirr family, Ms Harper Wright now has a community of people working together to unravel fake afflictions online. But hoax hunting isn’t without its ethical ambiguities. If Ms Harper Wright gets it wrong, she could end up accusing someone with a serious, often life-threatening, illness of ‘faking it’. And even if she is right, she’s still confronting someone who, in all likelihood, is dealing with some sort of serious mental health issue. “Nobody that is having a happy life decides, ‘Oh, I’m going to go online and pretend that my child is dying.’ So, I think that they’ve got something going on too … And I think that that needs to be understood a lot better than it is,” she said. So can people with Munchausen syndrome be treated? “The professional literature is pretty clear on whether or not treatment works: it’s an emphatic no,” Professor Feldman said.